The Jura XS9 is, like all automatic coffee machines, a bean to cup fresh milk machine. The XS9 is designed for medium to large offices of 25+ people. XS9 machines have been installed in offices of 5000+ people but that often requires a multiple machine approach. The drink options available form the XS9 are identical to the smaller units as well as featuring a dual coffee and one touch cappuccino and latte option. The overall standout features of the XS9 are it’s exceptionally large water tank and grounds container. Most “large office” automatic machines have water tanks in the region of 2.5 litres and a grounds container which contains 30 pucks. The XS9 features a 6 litre water tank and grounds container allowing for 60-80 pucks. Milk Froth Quality and Latte Option – The froth on all Jura Automatic machines from mid 2014 utilises the new fine foam frothing technology which means that the milk froth for cappuccinos and lattes comes out thick and creamy. This is still one feature which separates Jura machines from most other entry level automatic machines on the market today. The XS9 also allows for a one touch latte where the steamed milk and milk froth can be automatically separated. Coffee and Espresso Extraction – The famous Jura grinder and brewing unit technology means the extraction on all “black coffee” drinks is still a level ahead other bean to cup options. The need for constant cleaning of coffee machines makes many of them somewhat of a nuisance. Water Tank Size – The XS9 has one of the biggest water tanks of any automatic coffee machine in the industry. It is simply built for size. One Touch Functionality – The XS9 features full one touch technology meaning every drink can be made at the touch of a button. The XS9 has a central coffee station for only black coffee drinks and a separate one touch station for milk based coffee drinks like cappuccino, latte and espresso machiato. 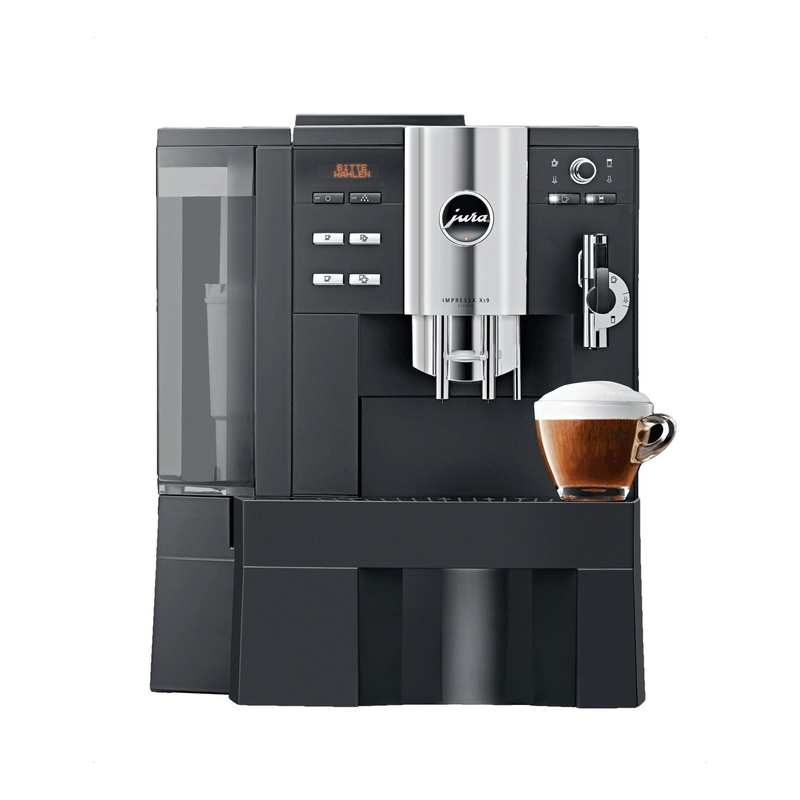 Outdated Styling – The XS9 is Jura’s best selling coffee machine worldwide since the launch of the original XS90. The XS9 and its predecessor XS90 has been such a hit worldwide for so many years which is why Jura has kept this machine in its stable. Noise – The XS9 does have a few features to eliminate noise as much as possible however when grinding beans there is still some latent noise which can be heard. No TFT Screen – The XS9 is one of the few Jura machines which doesn’t feature a TFT but rather has an old school digital screen. If screens with illustrations are what you are looking for then the XS9 might not fit your aesthetic needs.